o Support television broadcast through the operation of technical equipment. oCamera operator for both live and taped productions. oClosed captioner for various programs using CaptionMic, a voice recognition software. oTrain new employees and interns responsible for closed captioning. o Responsible for scheduling job applicants into predetermined time slots, utilizing a web based software package, and processing applicant information/inquiries.o Working in a fast paced, customer service environment.o Achieving project deadlines and metrics (customer satisfaction, quality, productivity, etc. )o Assisting in project related administrative activities (e.g., quality checks, data entry, material management, faxing, e-mail, copying). Omicron Delta Kappa Honor Society (2007 - Present)o National leadership honor society for college students. Inducted for being in top 35 percent and showing leadership in areas such as athletics, campus and community service, campus government, journalism and the mass media. Lambda Pi Eta Communications Society (2007 - Present)o Official communication studies honor society of the National Communication Association. Inducted for maintaining a 3.25 or higher in communication studies, as well as a 3.0 or higher cumulative GPA. Who's Who Among Students in American Universities and Colleges 2008o Selected by Penn State Erie, the Behrend College out of 4,000 students to represent the school for excelling in academics, athletics, and campus organizations. Deans List: Spring 2006, 2007, Fall 2007, Spring 2008o Received for maintaining a semester GPA of 3.5 or higher. AMCC Academic All-Conference Award, 2008o Received for maintaining a GPA higher than a 3.2 while participating in athletics. Special Olympics. 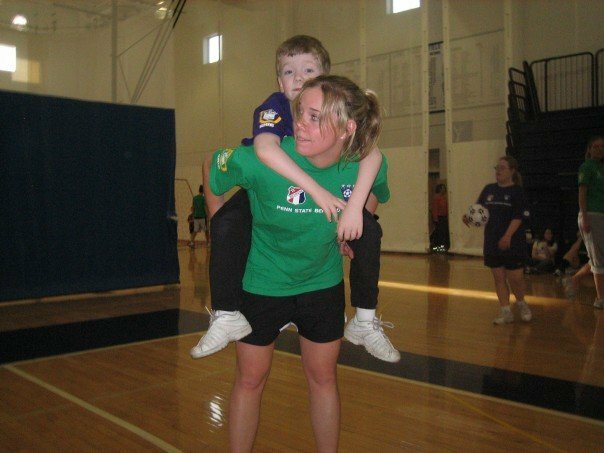 TOPS Soccer Volunteer at Penn State Behrend-The Outreach Program for Soccer o Worked with the same child for four years at the request of his parents. Thomas Jefferson High School Lady Jaguars Soccer Team Assistant Coacho Assisted in both Varsity and Junior Varsity squads.